When you hear the phrase “content marketing,” maybe you think of a blog post or a downloadable whitepaper, but content marketing takes many different forms. On social media, it might consist of 140 characters, an image, or a video. In the mobile space, content marketing can even shape-shift into an interactive survey, a game, a text message, or a push notification. For all the buzz around the seemingly endless possibilities, content marketing isn’t just a fleeting trend. The truth is that good marketing has always been about good content. If people who love fishing see online ads about fishing equipment, for example, they won’t view them as distractions or disruptions, but instead as valuable content. People are tired of traditional, one-size-fits-all advertising techniques—just ask the almost 200 million active ad-block users around the world. With digital channels forming the main arteries of the buyer’s journey now—and 90 percent of B2B buyers saying online content plays a big part in their decision-making—marketers need to adapt to the reality of an increasingly ad-averse world. The good news? You don’t have to create all of the content about your offerings by yourself. Very often, you can effectively reach new customers using your current clients’ content. Advertising, when it’s highly targeted, naturally becomes valued content. And it goes both ways: Strategically targeted content that provides real value to its viewers can also serve as highly effective advertising. Say you sell fishing poles and nets. While top-quality content is never about pitching products or blatant self-promotion, if you directly target people who want to stay up on the latest and greatest developments in angling gear, they will find great value in the content of your ads. You may be thinking there must be a magic formula, but you don’t have to be a wizard to boost your brand with great content. The growing arsenal of analytics tools available and advancements in customer tracking capabilities allow you to deliver the right messaging to the right audience at precisely the right time and reach that transcendent moment when content becomes advertising. Nonetheless, 22 percent of B2B marketers still don’t incorporate content marketing into their marketing strategy. Why? Because producing good, relevant content can be a huge challenge. As we race further into the digital age, inundated with a nonstop flow of information and marketing messages, how can you create a steady stream of content that both reaches and resonates with your target customers without breaking your back or the bank? Marketers are often trained to look internally to find the perfect message to broadcast to the outside world to promote whatever it is their company is selling. In a world oversaturated with information and data, your first inclination is likely to focus on content that directly concerns your business or its offerings. If your company has end users, though, chances are good they’ll eventually talk about your product online. When they hype it, you have to use that content to your advantage. In my own business, which operates the .club domain registry, we rely heavily on content marketing. Rather than creating content that just talks about how you can get a domain name from us, we often highlight and leverage all of the great content being created by businesses using a .club domain name. When our end users promote their businesses by promoting their domain name, they’re ultimately helping us. This past October, for instance, we saw an article about how an iOS racing game called gear.club had hit a million downloads within five days of its release. The game was then featured in the Apple Store and given an Editor’s Choice award. We took advantage of this simply by showcasing the article in our own marketing. This not only gave us some great content to use, but it also provided some awesome ideas for creating more content focused on our end users. Doing this requires a shift in mindset to look outward for any indirect mentions of your product or service made by your customers or end users. 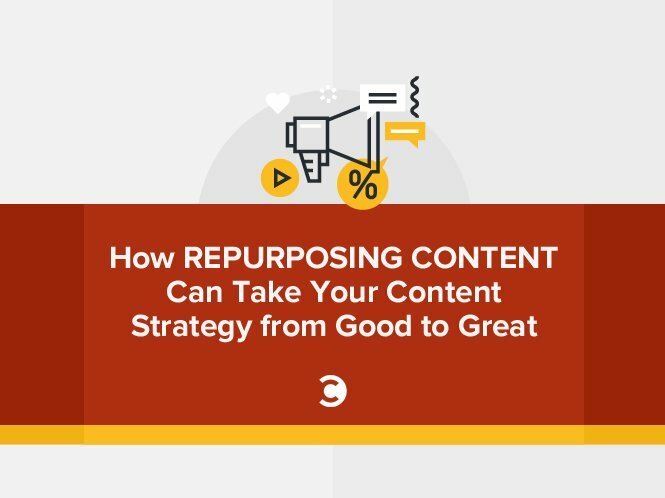 You could find a wealth of valuable content that you can repurpose and use as-is or use as the basis of new content that you’ll create. Here are three ways to capitalize on customer-produced content and put positive press about your customers or clients to optimal use in your own content marketing initiatives. Always look out for press releases, announcements, hashtags, and media articles that highlight your end users. Sometimes they’ll appear out of nowhere, and all are great sources of content. When members of a model boat club in Suffolk, England went out to race their boats a few months ago, an exceptionally aggressive swan took offense to the presence of the boats on his lake. He (the swan) went on the attack, doing around $100,000 worth of damage to these very expensive, high-end model boats. News of the incident quickly went viral, and every source mentioned the name of this particular boat club and provided a link to its website, which happens to have a .club domain name. As a result, hundreds of thousands of people in the U.K. learned that they, too, could have a unique domain name for their websites, and we found a fun opportunity to incorporate the content of the story and the news about unique domain names into our social media marketing efforts. Crazy things like this happen all the time. So stay abreast of what people are saying — not just about your brand, but also about your end users and clients’ brands. While more than half of marketing professionals agree that video content yields the best ROI, creating quality video is time-consuming and expensive. Producing just a minute of video can run anywhere from five thousand to 20 thousand dollars. Of course, you don’t have to spend thousands of dollars producing a slick, corporate video. A more cost-effective solution is to be on the lookout for customer videos that highlight your product in some way and find a way to incorporate them into your own marketing. You might consider making a compilation of these to showcase on your testimonial page or send to prospective clients. We’ve used several of our customers’ videos in our own content marketing initiatives, and it’s a symbiotic exercise. Our end users are happy because it means more promotion for them, and we benefit from an ongoing source of compelling content without the hefty production costs. The vast majority of consumers read online reviews before making a purchase, and most will read up to 10 before deciding to trust a business. Word-of-mouth recommendations from objective consumers—including virtual, online endorsements—remain the most valuable form of marketing content. Yet many businesses don’t effectively highlight them. Search Facebook and Twitter to see what people are saying about your customers, and seek out independent statements about your product or service from real people who are using it. If you have lots of vocal customers or users who are active in public forums, you could potentially find a smorgasbord of authentic content at your disposal. We have a section on our website where we feature our users’ websites, for example, where we’ve showcased hundreds of live customer sites, broken down into different categories and use cases. When it comes to repurposed content, don’t forget the value of segmenting it into targeted buyer personas in this way. As consumer appetites for content continue to evolve and analytics tools become more sophisticated, the demand for fresh, value-added content is only going to grow. If your content seems purely promotional, people won’t want to share it. You don’t have to avoid directly highlighting a product or service you’re trying to sell, but you have to do it in a way that makes people laugh or feel smarter. Your goal is to reach the largest audience possible with content they’ll find relevant and valuable, so it needs to be entertaining and educational. When you’ve reached that point—and all content marketers do—where it’s hard to find fresh things to say about your company’s products or services, consider letting your customers do the talking. With nearly 20 years of experience in the internet and mobile spaces, Jeff Sass is the CMO of .CLUB Domains, LLC, operator of the new top-level domain .CLUB. As a self-proclaimed gadget geek, early adopter, and experienced entertainment and technology executive, Jeff writes about marketing, domains, mobile, social, startups, and digital media/content creation. Jeff serves on the board of The Domain Name Association (TheDNA.org).